VIZ Media, LLC (VIZ Media), a premier company in the fields of publishing, animation distribution, and global entertainment licensing, delivers a visually stunning work of sci-fi horror with the release of ABARA: COMPLETE DELUXE EDITION on December 18th. 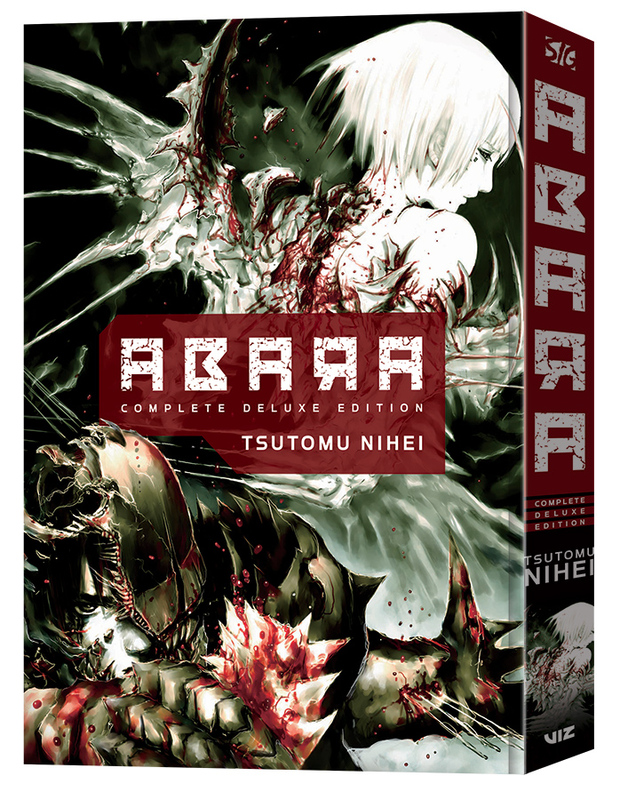 ABARA: COMPLETE DELUXE EDITION is by famed creator Tsutomu Nihei and is rated ‘T+’ for Older Teen readers. The single-volume hardcover edition will be published under the VIZ Signature imprint with an MSRP of $29.99 U.S. / $39.99 CAN. A digital edition will also be available for $19.99 via viz.com and the VIZ Manga App, as well as from the Nook, Kobo, Kindle, iBooks, comiXology, and Google Play stores. Tsutomi Nihei is the creator of numerous critically acclaimed manga series, including the bestseller Biomega, the Harvey Award-nominated BLAME!, and Knights of Sidonia, which was adapted into a multi-season TV animation series. For more information on anime and manga titles distributed, published, and licensed from VIZ Media, please visit viz.com.